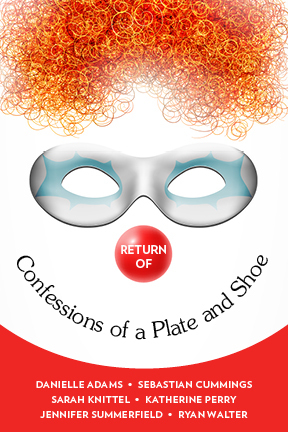 Return of Confession of a Plate and Shoe–all done! 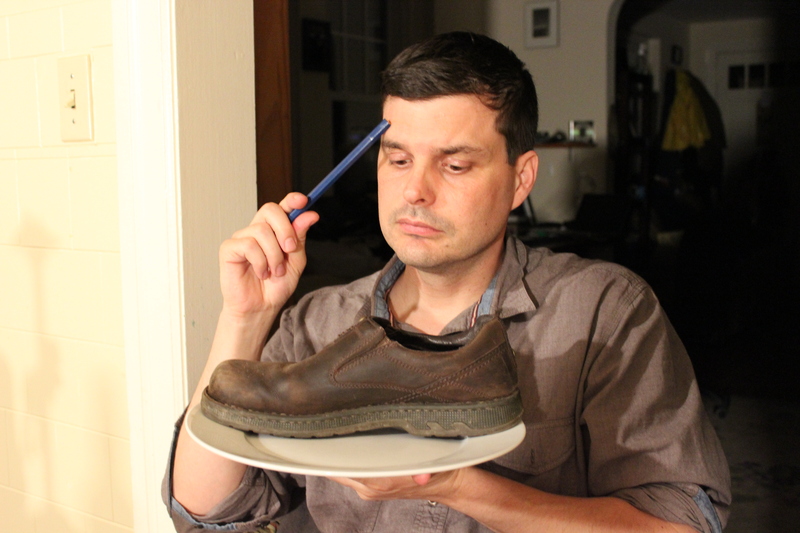 Return of Confessions of a Plate and Shoe: the best ever evening of outrageous short comedies by Josh McIlvain. Performed by Danielle Adams, Sebastian Cummings, Sarah Knittel, Katherine Perry, Jennifer Summerfield, and Ryan Walter. THANKS FOR COMING TO THE SHOW, AND IF YOU DIDN’T COME, YOU SHOULD FEEL VERY BAD ABOUT IT. READ THE REVIEW FROM PHINDIE.COM! Josh McIlvain’s RETURN OF CONFESSIONS OF A PLATE AND SHOE should be put in a time capsule and used by future generations as a how-to manual titled “How-to-produce-the greatest-show-ever.” Okay, calling this show, “the greatest show ever” may seem like an overreaching marketing phrase, but I assure its not. RETURN is the greatest show of the 2012/13 theater season. Not to disrespect the larger Philadelphia theater companies, SmokeyScout Productions is reaping one of the benefits of mounting a low-budget, black box minimal production they can afford to make bold choices. McIlvain makes all the right choices. Not a minute is wasted, every inch of the Adrienne’s Sky Box is utilized. The fearless ensemble of six actors dressed in Stanislavski-neutral black crash their bodies into walls, and floor stretching their protean muscles to the max portraying a variety of species, monkeys, fish, psychopathic caterers. I am not sure if there is anything Danielle Adams, Sebastian Cummings, Sarah Knittel, Katherine Perry, Jennifer Summerfield, and Ryan Walter can not portray. June 19 to 29, 2013; smokeyscout.com.